Montevideo is the capital of the Eastern Republic of Uruguay, economic and political center of the country. It was founded as a fortification square between 1724 and 1730, next to the port on the Rio de la Plata. The colonization period began with the arrival of Spanish families from Buenos Aires and the Canary Islands. 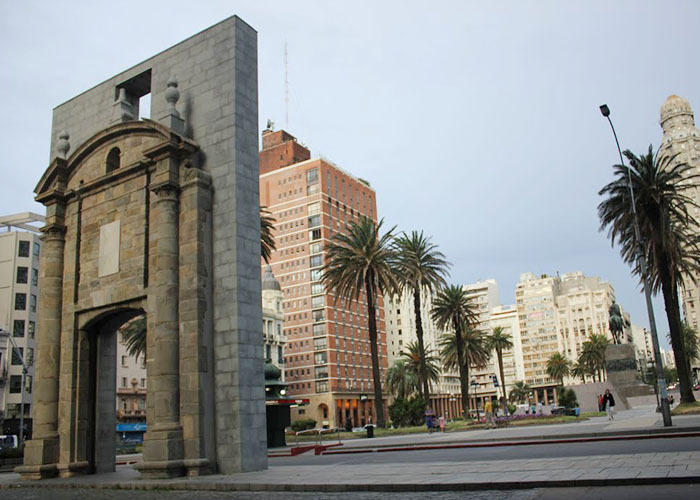 Currently, Montevideo is a tourist destination in Latin America, offering the visitor historical sights, beaches and gastronomy. 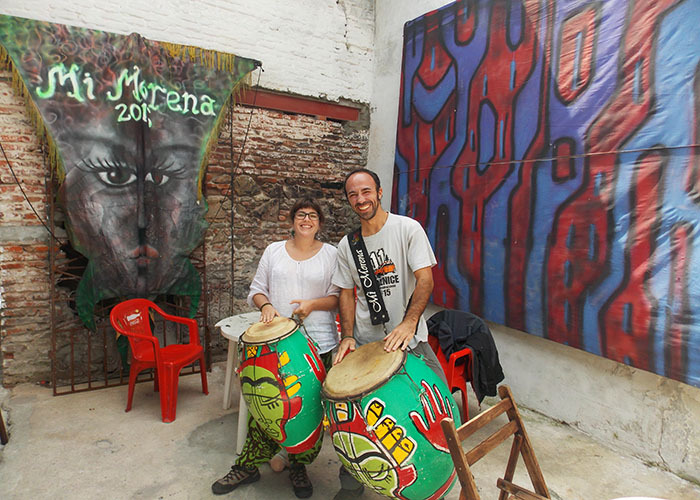 Candombe is a cultural africans celebration base on dances and drums, brought to Uruguay by African slaves in the colonial era. The most important event of Candombe in Uruguay takes place in February, in the “Desfile de Llamadas” during the Carnival. But every weekend throughout the year you can still witness on the streets of different neighbourhoods those groups playing the drums and how the neighbours join in the dance. The neighbourhood of the Old City is one of the main touristic areas of Montevideo. It was a Spanish military fortification. Its walls were erected in 1741 and they began to be demolished in 1829. 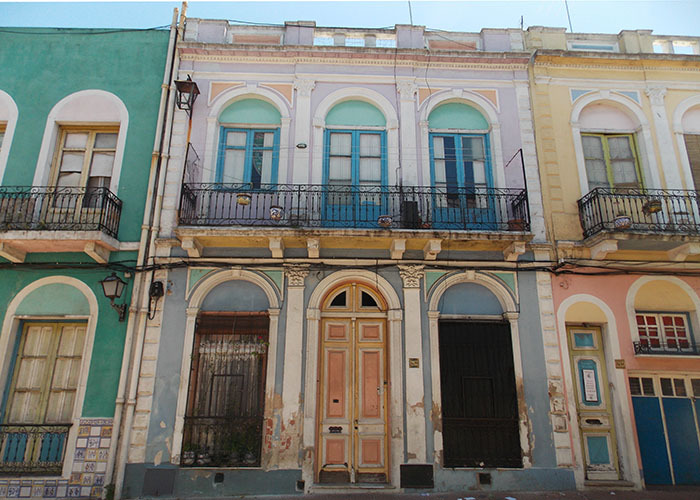 The tour of the old town allows you to know the colonial architecture, art galleries, libraries and innumerable artisans and street performers. 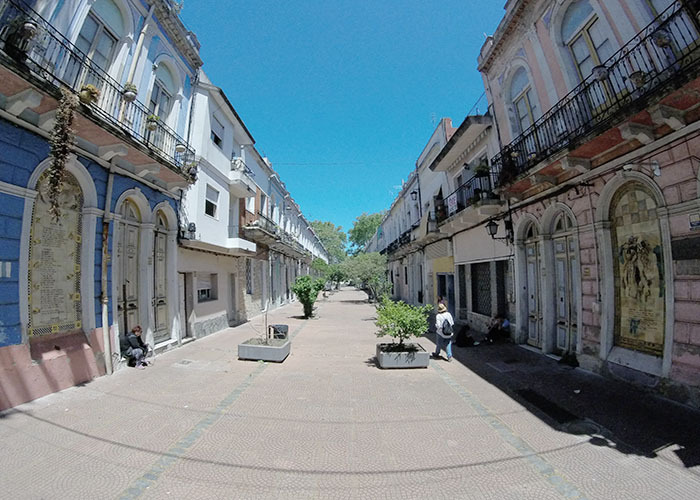 Firstly you can visit the Solis Theater, and then walk to arched door of the Citadel from where you can continue the tour walking through the pedestrian street Sarandí. You can visit the Matriz square , that was the Plaza Mayor in the colonial period, where you will find the Cathedral and the Cabildo Palace. You can stroll down the street to find the Plaza Zabala and the Port Market where a nice glass of wine and grill meat will be waiting for you. 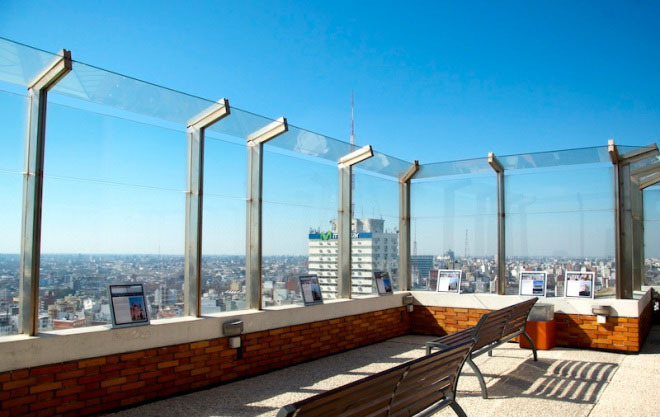 Located in the Town hall building of Montevideo, with a height of 77 meters offers a great panoramic view over a large part of the city. Remains open all year round with free entry and is located in the Av. 18 de Julio 1360. This avenue is the main artery of the city of Montevideo. 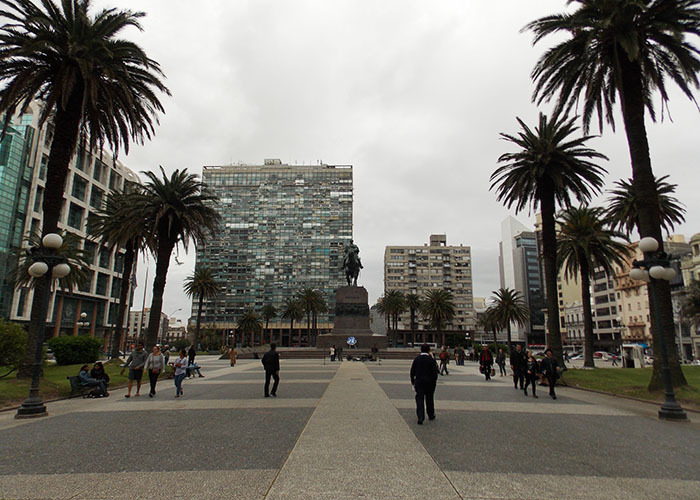 It is about three kilometers long ,and as you walk you can find emblematic buildings such as the National Library, the University of the Republic, the Intendencia(Town Hall) of Montevideo, the Salvo Palace and the Independence Square. 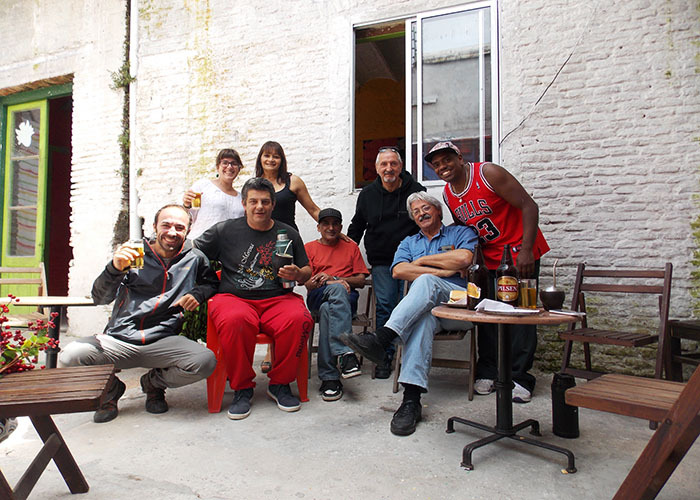 The Fair of Tristán Narvaja has become a MUST SEE, right in the heart of Montevideo. 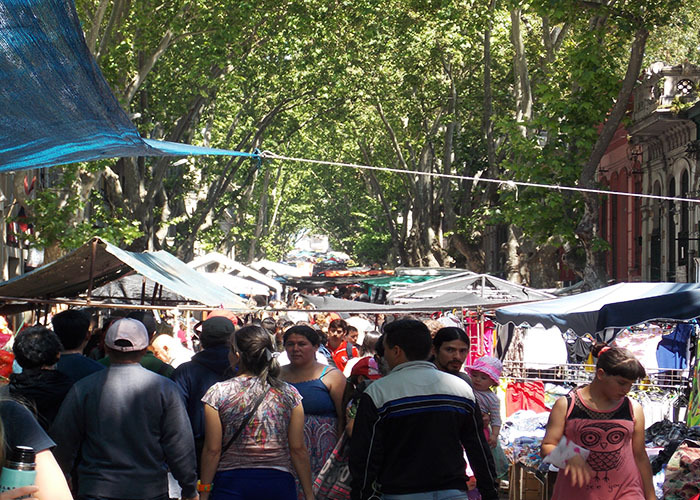 The main street of the market is Tristán Narvaja, and it goes from Avenida 18 de Julio until the Miguelete Street. The parallel streets are also occupied by hundreds of stalls, forming a maze almost impossible to see in a single day. You can find a wide variety of articles, from fruits and vegetables, clothing, species, cheeses to antiques, new and used books, furniture, electronics, plants, pets, crafts and anything you can imagine. 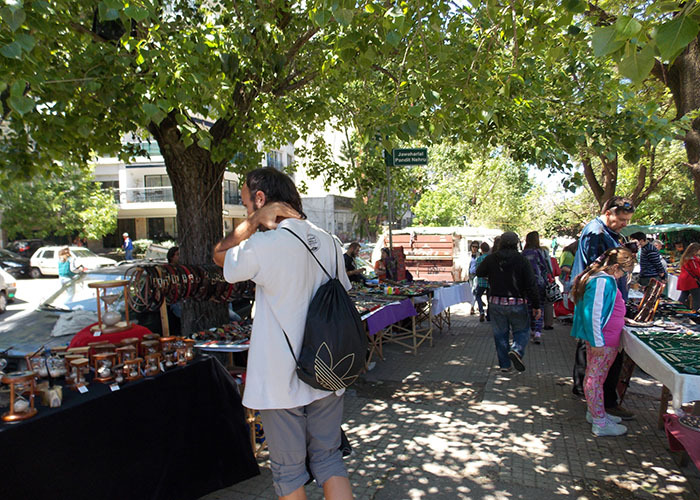 Every Sunday from 9 in the morning until 4 in the afternoon, Tristán Narvaja becomes the busiest street in Montevideo. Get a photo in the of Montevideo letters. 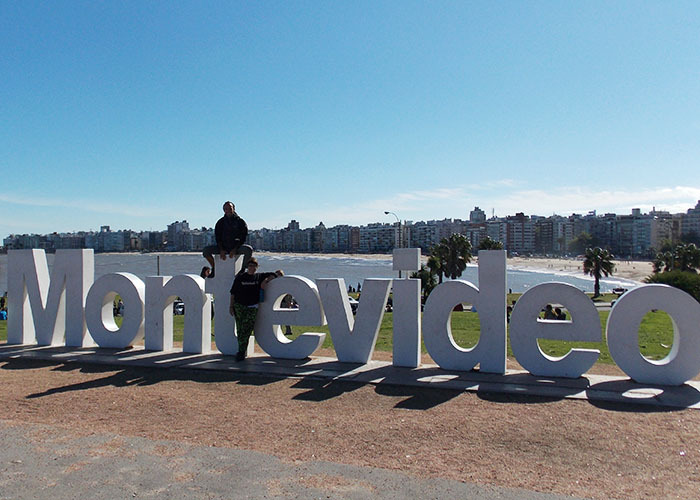 The sign with the word “Montevideo” located on the Rambla de Pocitos is one of the places that you can not miss, there you can make photographs accompanied by the landscape of the pocitense coast. 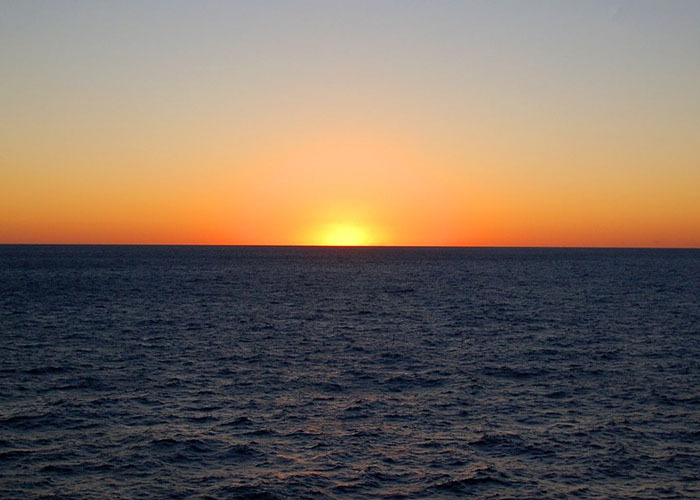 Enjoy one of the most beautiful sunsets of Montevideo on the white sand of Ramirez Beach. It is located on the Rambla Presidente Wilson and its waters are bathed by the Rio de la Palta. The museum was inaugurated on October 14th 2005. 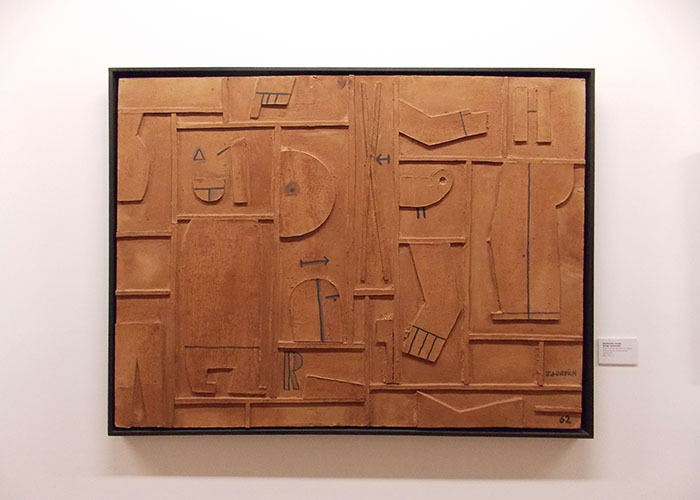 It has been developed by Gurvich family to show to everyone the life and work José Gurvich, and to preserve the collection of works gathered for the artist. The Palace was opened in 1925 with a construction of monumental appearance that harboring the headquarters of the Legislature. Sculptures and artwork live next to the Chamber of Senators and Deputies. Go to the hall of the ” Pasos Perdidos”( Lost Steps) it is totally free, but there is also the option of hiring a guided tours for 3$. Walk between color and history on the famous Reus neighborhood. Outstanding for its modernist architecture and for its homes, all painted with a different colour. This is an unusual neighbourhood in the country. The district owes its name to Emilio Reus, a Spanish businessman born in Madrid in 1858. 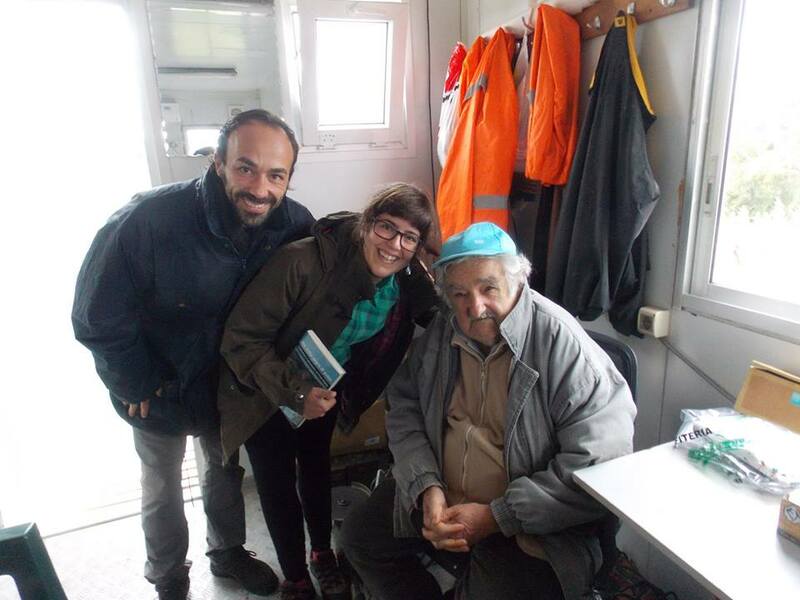 Reus was commissioned to build housing units for workers and laborers. His works in the Uruguayan capital made him famous and it marked a period in the national architecture known as “time of Reus”. Nowadays those house are occupied by middle and lower middle class families, in addition to a high percentage of Jewish population.  We found the best price for the flight ticket through Skyscanner. Flying from Barcelona, with a 5 hours stop in Brazil and then almost 2 hours flight to Montevideo. You can book the same flight from Spain but choosing Argentina as last destination. Planes from Brazil to Argentina go more often, therefore the stop in Sao Paulo will be shorter. Flying from Barcelona we paid £200 less per person than if we had flown from Madrid. 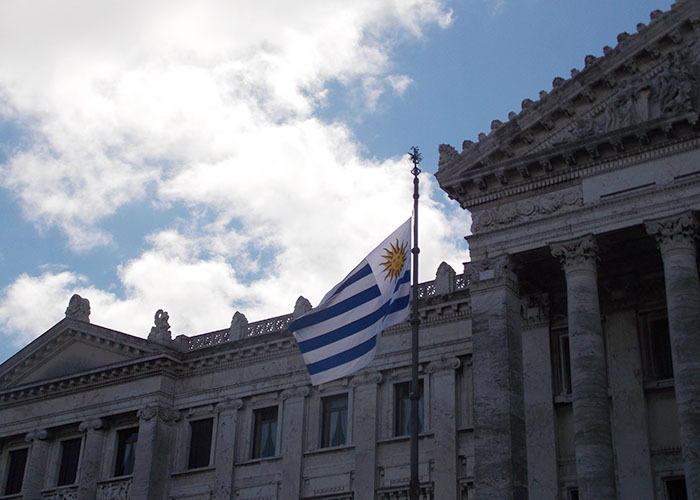  The official currency in Uruguay is the Uruguayan Peso, although in many shops you can pay with US Dollars. If possible, it is advisable to bring dollars with you because the exchange rate is better than the one you can get when changing pounds or euros. Like in most of the airports the exchange offices offer you a very low exchange rate. It is always better to change only enough to get into town, and then exchange again in a central office, where the difference is worth it. When you are going to exchange currency in an office you must always ask; “what is the best exchange rate you can give me?” Like that you will get a better price than the one display in the blackborads. Buses Cot. The buses are covering longer distances, reaching other cities like Punta del Este. The final destination is the central station of Montevideo, Tres Cruces. The price is around £4.5 and there are special compartments for suitcases. For us, the best option by far is; Uber. At the airport it is easy to find somebody who wants to go to the center or other destinations nearby, so you can share a car with them and share the costs of it. We share the car with another couple to the center and the price was $5 per person. Quick and comfortable. Taxi trip to city center. The price is around 55$ dollars.  In the web site of the Montevideo Administration there is an application you can use to plan your routes within the city, either by bus or on foot. The bus fare is 28 Uruguayan pesos / 1$.  The best tourist office you can to get info, maps and so on, is located at the entrance of the port. The address is Rambla 25 August 1825.  To do the shopping in Uruguay is not cheap, regardless of what you want to buy. The best prices can be found in the street markets which are located all over the city, and without a doubt, at the supermarket BOCATA, located in the street 8 October 4130. Have you been in Montevideo? Would you like to go?